The TomTom XL 350 TM is at the top of the XL 350 series that TomTom has inserted into the heart of its dedicated car GPS lineup. Above it are the large-screen (5-inch diagonal) XXL models and the premium "Go" and "Live" models with features such as Bluetooth connectivity to mobile phones for hands-free calling, and real-time Internet connectivity. The XL 350 is notable for the inclusion of free product lifetime map updates and traffic detection and avoidance valued together at about $75 per year. The XL 350 TM is otherwise a very competent navigator and a good value. Free product lifetime map updates (a $60 per year value). Free product lifetime traffic detection and avoidance service. You'll need to move up to the TomTom "Go" series for hands-free calling capability via Bluetooth. TomTom Advanced Lane Guidance uses images and arrows to keep you in the correct lane before turns on multi-lane highways. EasyPort folding mount makes it easier to stow and carry the unit and its mount. With the introduction of the XL 350 series into the middle of its car GPS lineup, TomTom rolls a lot of what consumers are looking for into one ready-to-hit-the-road package. That includes a 4.3-inch (diagonal) widescreen (as opposed to a 3.2-inch screen on lower-priced models); and in the case of the XL 350 TM model tested here, free real-time traffic detection and avoidance, and free map updates. The "T" in the XL 350 model designation stands for its free traffic service and the "M" for free map updates. Be sure to shop for the TM version if you want both of these features. There are three other, lower-priced XL 350 models. The real-time traffic updates are conveyed to the unit via an RDS-TMC receiver that is built right into the power cord, resulting in a service that works right out of the box with no muss or fuss. In my highway tests around metro Philadelphia during rush hours, the TomTom XL 350 TM's traffic service worked well, highlighting traffic severity in red, orange, or yellow, and suggesting alternate routes that changed as traffic conditions changed. To help you decide where to go, the unit shows and announces your estimated traffic delay time and the estimated times for suggested alternate routes. 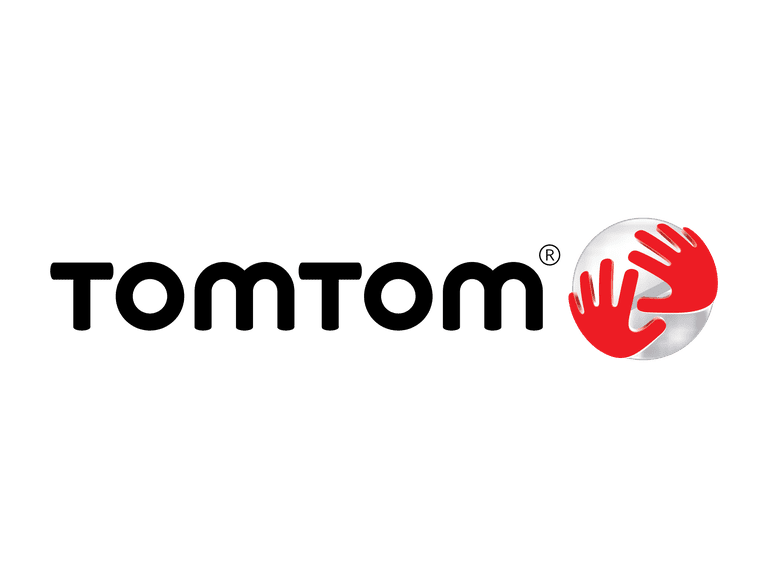 None of the traffic services are perfect yet, but I find they have improved steadily over the past few years, and TomTom is at the leading edge of development on this feature. The free map updates are a big deal, as they would typically cost you $60 per year for TomTom and most other brands, and you should update your maps at least once per year. The map updates are easily downloaded and installed via TomTom's free "Home" software. The TomTom XL 350 TM also comes with text-to-speech, which we always recommend as a must-have feature. You're much better off hearing street names (even when they're comically mispronounced) included in directions for upcoming turns than a generic "turn left." Also of note is the inclusion of TomTom's full "Advanced Lane Guidance" (ALG) feature in the XL 350 TM. This feature has been one of my favorites since TomTom introduced it. When you are on a multi-lane highway, the display shows a set of arrows representing lanes, indicating which lane you should be in for upcoming turns and the distance to the turn. On many major highways, you will also be shown a rendered image of the exit and where you should be as you approach. ALG is excellent for those who deal with heavy traffic and multi-lane highway/freeway travel. The TomTom XL 350 TM's EasyPort mount (see photo) is another plus, because it's much less bulky than the typical windshield mount, making it easier to stow, hide, or carry. Overall, the TomTom XL 350 TM car GPS is an excellent value, and a very competent navigator if you don't need premium features such as Bluetooth hands-free calling or real-time Internet connectivity.